Author: Gralla, Cynthia Set In . . . Description: Liza leaves her Ivy League life behind and escapes to Tokyo, a place where the ghosts of World War II pulse beneath the neon nightlife. She intends to study butoh, otherwise known as "the dance of utter darkness," with master teacher Oshima Kenzo. While working in one of Tokyo's infamous hostess bars, Liza meets the mysterious Maboroshi, leader of the maiko, a group of neophyte geisha whose expression is as violent as butoh itself. Liza's journey culminates in the discovery of the most exclusive restaurant in Japan, where men eat delicacies directly off a naked human body. Descending into this midnight underworld, Liza becomes fragmented, lost: a stranger in her own skin, struggling to find her way back home. This novel was first published in hardcover by Ballantine in March 2003. A paperback edition with a reader's guide appeared in October 2004. 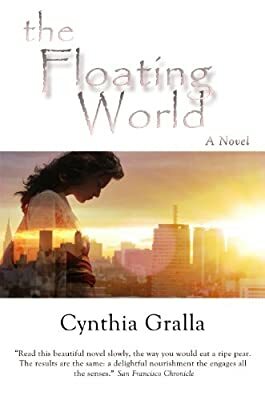 For the first time ever, The Floating World is being offered as a Kindle edition.